THEARCHY series is NTAIFITNESS's Modular Group Training Equipment. As part of the NtaiFitness line, THEARCHY is the perfect place to start for ambitious trainers. We know how important it is to get organized if you want to start making genuine gains when on the path to a stronger workout. We know that it’s important that you surround yourself with the right atmosphere, the correct people and the ideal source of hardware. THEARCHY then is the perfect collection for those who want to help get the entire organization into shape. 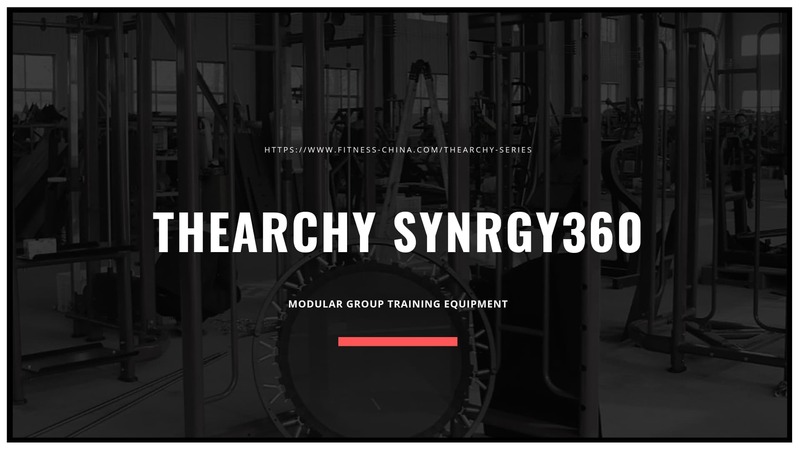 From a business owner who wants to incentivize fitness to a team leader who wants to get everyone mentally and physically sharp, you can find that THEARCHY SYNRGY360 makes an often fraught experience much easier to handle. This can not only help to get everyone in better shape, but it can create an experience that develops teamwork, brings everyone closer together and benefits your business in many ways. This is a great choice for everyone from friends who want to work out together to business owners who want to keep their team in the best physical shape that they can. If you want to exercise, then you can find that its’ easier to do so as a team, inspiring those around you and using each other as a source of fun and engaging competition. If you want to interact with a new and improved experience, then you might just find that this offers you all the help that you could need to start making the progress expected. From cool spinning bikes to various other forms of fitness equipment, you can use the THEARCHY Group Training Systems range to start making a new impact on the way that you train. Experience smoother training Distinguished by its stylish design and comfort, the THEARCHY line provides the best combination of easy-to-use and effective training available in selectorized equipment. Designed both for beginners and for professionals, this line guarantees an exceptionally comfortable exercise experience. Buy Exercise Equipment for Group Fitness & Personal Training. Whether it's Yoga/Pilates equipment, weight bars, fitness steps, dumbbells, or MMA, boxing & kickboxing equipment, Ntaifitness has what you need for your gym or studio. These combined features create a versatile piece of group training equipment that provides incredible savings. Combining top quality fitness equipment with the appropriate resources that will help teach clients how to use it and measure their results will provide group fitness instructors with the tools they need to keep their members involved and dedicated to working towards their fitness goals. Should your experience be one of frustration when working out, this range from NtaiFitness might be the remedy you require! We've got your group fitness equipment needs covered，Contact us!